The present work was conducted to investigate the coconut residue (CR) left after the extraction of coconut milk by subjecting it to physical treatments. Water-washed samples as well as the original samples were analyzed for their chemical composition, soluble dietary fiber (SDF), insoluble dietary fiber (IDF) and total dietary fiber (TDF), and measurements were based on dry matter. Fractionated IDF was further treated into four fractions: cellulose, lignin, hemicelluloses A and B. IDF, TDF, moisture, crude fat, protein and CHO (carbohydrate) values were significantly (p<0.05) different between the samples. The IDF values ranged from 27.32 to 35.08% in both CR samples. The TDF of the CR with treatment differed significantly (p<0.05) between two different analytical methods. Cellulose contents were 72.67 and 72.33% for TDF in original and water- washed CR samples, respectively. I have access from Library. 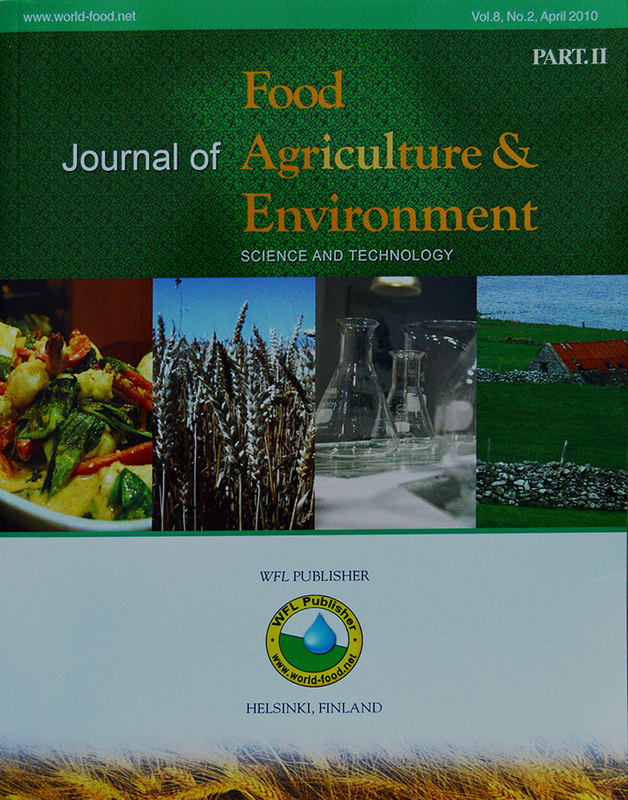 The requested document is freely available only to subscribers/registered users with an online subscription to the Journal of Food, Agriculture & Environment. If you have set up a personal subscription to this title please enter your user name and password. All abstracts are available for free. Do you want to add this article to cart?